Data#3 is an ASX listed company that provides market-leading business technology solutions in a Hybrid IT environment from on-premise to outsourced to cloud across a wide range of industries throughout Australia and Asia Pacific. Headquartered in Brisbane, we have offices, data centres, and configuration and warehousing facilities in operation across Australia. The Data#3 business, structure and technology solutions are all designed to help customers meet their business objectives. We consult with our customers to help them design, deploy and manage business technology solutions. We understand that one business technology solution does not apply to every customer situation and Data#3 has developed a unique process for creating choice. Through Data#3’s Technology Consumption Model, customers are able to explore the options available to acquire and deploy our solutions. Combined with our expertise and the unique way of creating options, we work within a Solutions Framework that defines our approach to meeting customer objectives and sets us apart from our competitors. Customers choose Data#3 for our Business Technology solutions, the options we offer in a Hybrid IT environment and most importantly, the way we do things. Mater Research is a world class medical research institute based at South Brisbane specialising in cancer, maternity and obesity related research. Mater’s 200 researchers are based in clinical settings at Mater and laboratories at the Translational Research Institute (TRI). 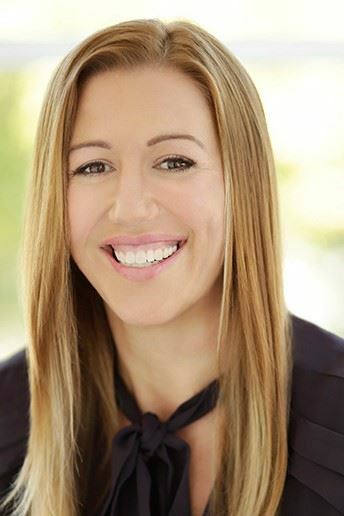 Carrie Hillyard – Chairman, Fitgenes is currently an Angel investor and Chairman of Fitgenes and FizzioFit and Deputy Chairman of the Mater Medical Research Institute. She is also a member of the Entrepreneurs’ Program Committee of Innovation and Science Australia and a director of the Academy of Technological Sciences and Engineering (ATSE). Previously, she was co-founder of venture fund, CM Capital Investments, director of several of its investee companies and led its Life Sciences group for over 10 years. She has commercialised products from laboratory bench to market and is an inventor of a number of patented technologies. Carrie has also mentored entrepreneurs, assisted with commercialisation and licensing and served on a number of government, public and private company boards, including membership of the former Industry Research and Development Board and ANSTO. Dr Hillyard has a PhD from London University and is a Fellow of ATSE and the AICD. She is a recipient of a Centenary medal, the inaugural Women in Technology Biotechnology Star award and AusBiotech Excellence award for her contributions to the biotechnology industry. Bernadette Hyland – Founder & CEO, 3 Round Stones Inc. Bernadette has over 20 years’ experience deploying enterprise data solutions in financial services, healthcare and federal governments in Australia and the U.S. She has an exceptional ability to translate complex business requirements, map them to innovative cloud-based solutions and deploy applications on time, on budget. Prior to co-founding GeoHealth US and 3 Round Stones, Bernadette successfully led the growth of three tech startups including Plugged In Software Pty Ltd started in Brisbane in 1996 & Tucana Technologies Inc. Her early career included being systems manager at Goldman Sachs where she developed real-time trading and settlement systems in New York & Tokyo. Bernadette has led information architecture projects for pharmaceutical and medical products companies and national libraries. She is author of over a dozen publications on best practices for publishing complex data on the Web, including several published by the World Wide Web Consortium. A trusted adviser to senior executives, journalists and researchers, Bernadette is invited to speak at national and international fora on digital innovation and entrepreneurship. Mother of two teenagers, Bernadette spends any available extra time mentoring kids and teachers at a MakerSpace she helped launch in early 2015. 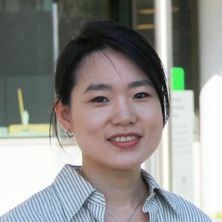 In 2017, she began full-time PhD research at UQ to advance the cause of publicly funded science data and addressing complex climate change policy. Faith is the co-founder and CEO of SixPivot and Cloud Ctrl and non-Executive Director for Dilignet and Diverse City Careers. Faith started SixPivot 2 years ago and during that time won the ARN Female ICT Entrepreneur of the Year 2016, ARN StartUp of the Year 2016, the Anthill Cool Company StartUp of the Year Award 2016 and the Anthill Smart100 in 2017. 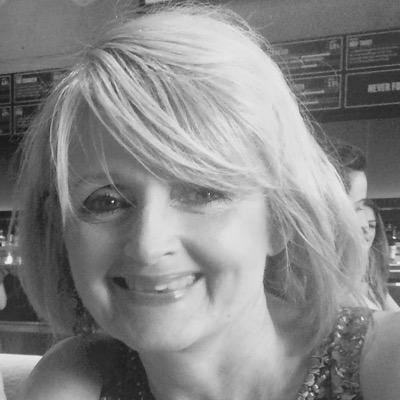 Faith has worked in the Australian IT industry for the past 18 years across a variety of roles from sales and marketing to general management, director and chief operating officer roles including holding board director roles. Throughout her years in the industry Faith has worked for both small and large IT companies providing services to SME, government and global organisations. Much of her last 10 years in the industry has been involved in software development. Faith is a strong believer in giving back to the community and has volunteered her time across various IT associations. 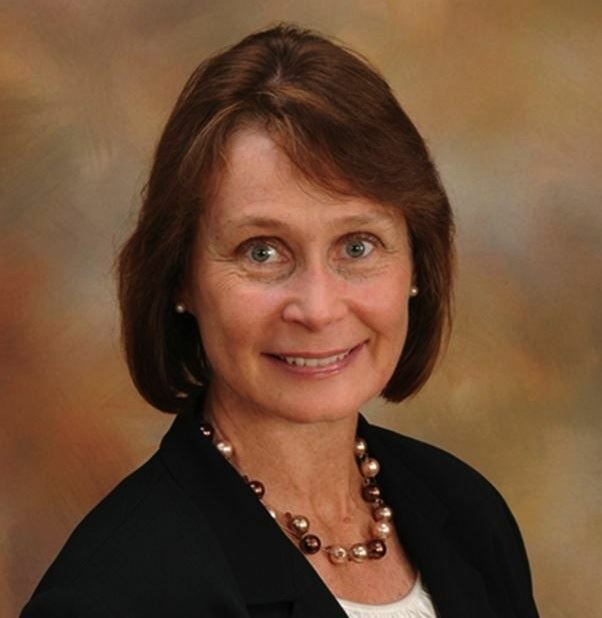 Through her role as an advocate for the IT industry, Faith serves on a number of government and industry committees. She is currently a Fellow member of the Australian Institute of Management and a Member of the Australian Institute of Company Directors. Bernadette is founder & CEO, 3 Round Stones Inc. Bernadette has over 20 years’ experience deploying enterprise data solutions in financial services, healthcare and federal governments in Australia and the U.S. She has an exceptional ability to translate complex business requirements, map them to innovative cloud-based solutions and deploy applications on time, on budget. Prior to co-founding GeoHealth US and 3 Round Stones, Bernadette successfully led the growth of three tech startups including Plugged In Software Pty Ltd started in Brisbane in 1996 & Tucana Technologies Inc. Her early career included being systems manager at Goldman Sachs where she developed real-time trading and settlement systems in New York & Tokyo. Bernadette has led information architecture projects for pharmaceutical and medical products companies and national libraries. She is author of over a dozen publications on best practices for publishing complex data on the Web, including several published by the World Wide Web Consortium. A trusted adviser to senior executives, journalists and researchers, Bernadette is invited to speak at national and international fora on digital innovation and entrepreneurship. Mother of two teenagers, Bernadette spends any available extra time mentoring kids and teachers at a MakerSpace she helped launch in early 2015. In 2017, she began full-time PhD research at UQ to advance the cause of publicly funded science data and addressing complex climate change policy. Colleen Nelson - Professor and Chair Prostate Cancer, QUT; Director Australian Prostate Cancer Research Centre, Ihbi QUT. 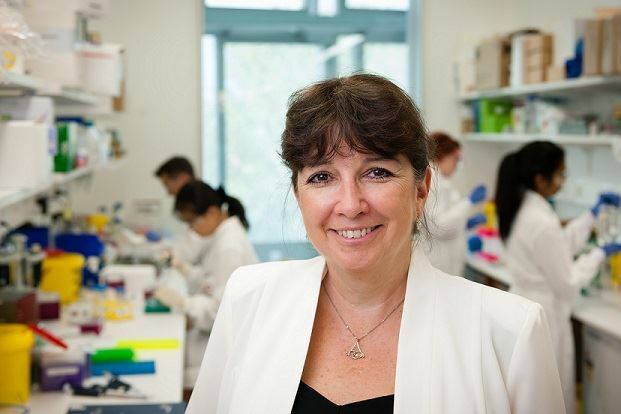 Colleen is recognised as a leader in programmatic translational prostate cancer research and for strategic development of international collaborative research Centres and networks accelerate the translation of scientific discoveries into clinical and commercial applications. She founded and directs the Australian Prostate Cancer Research Centre-Qld, where she leads 80 transdisciplinary Faculty and researchers. She has made significant contributions to prostate cancer translational research, specifically in characterising androgen action, identifying novel potential therapeutic targets; their validation and translation into clinic. Her greatest impact has been on androgen targeted therapies and uncovering mechanisms underlying castrate resistant prostate cancer. Over her career she has been awarded more than $214M in international funding and has organised, chaired and presented at numerous international meetings and holds executive positions on prostate cancer advisory boards and committees. Prof Nelson has 21 international patents, 7 book chapters, 150 peer-reviewed publications, >200 conference abstracts, >7,000 citations and an H Index of 45 derived from > 20 years of prostate cancer expertise. 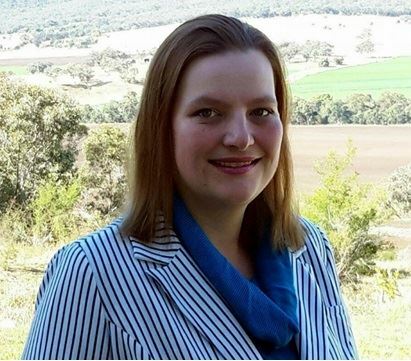 Neena Mitter - Professor, Theme Leader Agricultural Nanotechnology, Queensland Alliance for Agriculture and Food Innovation UQ. 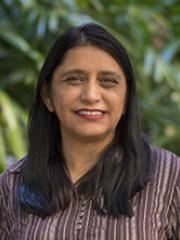 Neena is one of Queensland’s leading biotechnologists, having been involved in molecular biology and biotechnology in Australia and India for over 20 years. She has won prestigious awards like Women in Technology Queensland Biotechnologist Award, Queensland International Fellowship and Young Scientist Award by the Prime Minister of India. She is internationally recognised for her leadership in innovative, cross-functional research and exceptional industry engagement to address global challenges of agriculture and food security. She leads a passionate, motivated and impactful research group of 22 staff and students delivering global innovations, namely ' Non-GM and Non-toxic BioClay spray for crop protection’, ‘Single dose- shelf stable Nanovaccines for animal health and "Clonal propagation of avocado using plant stem cells". These are ground breaking platform technologies impacting agricultural production, environmental sustainability and socio-economic dynamics of farming community. Her high quality research has merited 40 publications in the last 5 years even within the landscape of commercial confidentiality. She is actively championing Ag-Nano innovations establishing UQ and Queensland as front-runners in providing global leadership for a better tomorrow. Kate Jurd is the Principal Medical Education Officer, Toowoomba Hospital & eLearning Specialist/Senior Lecturer, The University of Queensland. She has experience and expertise in the development and delivery of eLearning and blended learning solutions. Kate is passionate about improving learning experiences through emerging technologies and innovative learning design and has been working for the past 12 years in post graduate medical education at a regional hospital in Queensland. She has introduced a number of online training programs and e-learning initiatives to enhance education of junior doctors and support senior clinicians in their supervision, teaching and assessment roles. Kate joined the Rural Clinical School, School of Medicine, UQ in 2013 to provide leadership in the development of technology enhanced teaching and learning strategies to improve delivery of learning and assessment through Phase 2 of the MBBS/MD program. Kate work's with academic staff, subject matter experts and clinical teachers to conceptualise, design and develop resources and online content that generates active learning and student engagement. Kate frequently speaks at conferences on blended learning, technology enhanced learning, learning and assessment design and the flipped classroom. Professor Kathy Andrews leads the Tropical Parasitology laboratory at the Griffith Institute for Drug Discovery (GRIDD), Griffith University. Her work focuses on the discovery of new drugs for malaria. Kathy obtained her PhD in 1998 from Griffith University, followed by postdoctoral work on a malaria vaccine project at the QIMR. In 1998, Kathy was awarded a prestigious von Humboldt Fellowship to work on pregnancy malaria at the University of Heidelberg, Germany. Kathy returned to the QIMR in 2003, developing a research program focused on malaria drug discovery. During that time, she was the Executive Officer of the Griffith Medical Research College (2006-2009) and recipient of the Queensland Premiers Award for Medical Research. In 2009, Kathy returned to Griffith University as an ARC Future Fellow. Kathy is committed to contributing to the scientific discipline and is a past Director of the ASMR and Executive Council member of the Australian Society for Parasitology. She is currently a Griffith HDR Convenor and member of the GRIDD Leadership Team. Kathy has published >80 papers and supervised more than 20 PhD and Honours students. In 2016, Kathy started the “That’s RAD! Science” project to inspire in children an interest in the exciting worlds of STEM. Jess Bond, Team Leader Data#3 is a passionate and ambitious young woman who has worked in Managed Services and Service Delivery since 2012. Coming from a technical and operational background within internal IT Support Teams, Jess made the career change into Managed Services where she has achieved rewarding results for a number of customers. Jess’s most recent engagement as a Team Leader and Business Analyst within one of Data#3’s longest standing engagements, Queensland Health, has seen her recognised within both Data#3 and Queensland Health for innovation. In 2015 Jess was personally engaged within eHealth Queensland’s ReCreate Project to stand up a new 1.5 level Service Desk Team with the goal of standardising, optimising and automating a number of service calls across the state. This project was recognised for its success in 2016 as a winner of the eHealth Award for Innovation, an achievement that wouldn’t have been possible without Jess’s dedication and passion for service delivery. Jess continues to progress her career, working with several mentors within Data#3 to further develop herself personally and professionally. Her ambition is to be a leader of effective change within the IT Industry, and to revolutionise the cultures within Managed Services and Service Delivery. 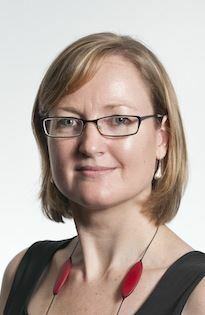 Dr Kirsty Short - NHMRC CJ Martin Early Career Fellow, The University of Queensland completed my PhD in 2013 at the Department of Microbiology and Immunology at the University of Melbourne on viral-bacterial co-infections. In 2013 she was also awarded the highly prestigious NHMRC CJ Martin Early Career Fellowship to relocate to the Netherlands to work in the Department of Virosciences at Erasmus Medical Centre on severe influenza virus infections. At the end of 2015, she moved to the School of Biomedical Science at the University of Queensland to establish her investigate the role of host co-morbidities (obesity, asthma and diabetes) on severe flu infections. To date, she has published 31 peer-reviewed papers (including those in the prestigious journals Nature Immunology, Lancet Journal of Infectious Diseases and eLife) and 1 book chapter. Her papers have been cited >930 times and I have an h-index of 16. 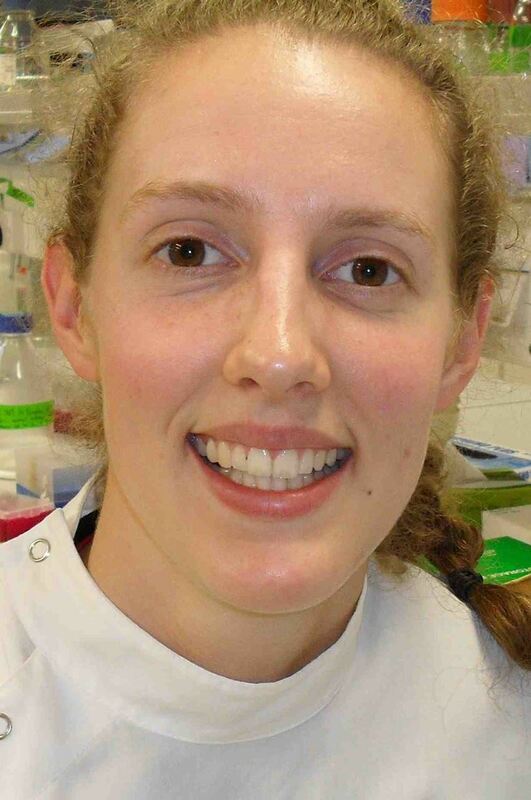 Kirsty has been awarded numerous prizes and grants for her research and also plays an active role in science communication (see https://drkirstyshort.wordpress.com/). 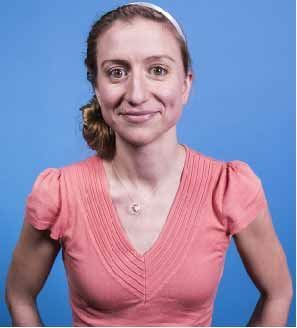 Chelsea Edmonds – Asia Pacific Regional Executive Officer, Robogals is currently in her final semester of a dual degree in software engineering and mathematics at University of Queensland and achieves consistent high results across her academic work, including a thesis in the area of software engineering formal methods. In 2017, she was selected as a GradConnection Top100 Future Leader and awarded the Deloitte Software Engineering Future Leader prize. 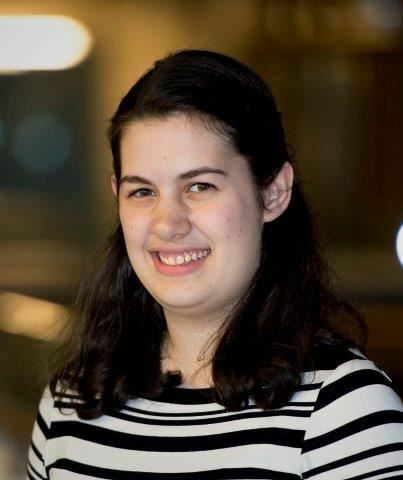 Throughout her time at university, Chelsea was heavily involved in the UQ community – through roles such as an academic tutor, women in engineering student leader and UQ student mentor and ambassador. She has also gained industry experience as a software engineer working at companies such as Boeing Australia and RGB Assurance. Chelsea is passionate about STEM, diversity and education, and creating positive change, which has led to her involvement in many different volunteering activities including Robogals. Robogals is an international, primarily student run volunteering organisation aiming to encourage girls to study engineering and related fields. As the current AP Regional Executive Officer for the organisation, Chelsea leads the Asia Pacific regional team to support the 15 chapters and deliver and develop regional strategy & nation-wide initiatives. After completing a Bachelor of Biotechnology with Honours at the University of Tasmania, majoring in plant science and biochemistry, Arabella relocated to Queensland to embark on a research project in the innovative area of cancer immunotherapy. Joining the Immunology in Cancer and Infection laboratory at QIMR Berghofer Medical Research Institute, led by Professor Mark Smyth, her PhD research identified preclinical evidence for targeting immunosuppressive adenosine either alone or in therapeutic combinations with clinically approved immunotherapies and targeted therapies to improve an immune response against cancer. These findings have important implications for adenosine-related therapeutic strategies as they reach clinical utility in the cancer setting. During her PhD, she authored 15 publications, 4 first or co-first author primary research articles and 2 first author reviews, and was selected to give 4 oral presentations at international conferences. She initiated both national and international collaborations, in areas ranging from antibody mechanisms of action, to melanoma treatment response and understanding NK cell biology, with both academic and industry partners. This is indicative of her broad knowledge of the tumour immunology field and adaptability to manage multiple projects to fruition. Finally, she generated significant community interest in cancer immunotherapy research from both school and community groups.